META Talent VolvoxLabs was commissioned by Ali Shirazinia, commonly known as Dubfire, to create a cinematic, techno music concert experience for his Dubfire Live HYBRID tour. Dubfire live HYBRID is a fusion of physical expression with the latest in dynamic, sound reactive A/V solutions. 2D and 3D animation is richly textured into a narrative and synced with live audio to explore the interaction of science and technology, of man and machine, and their resulting evolution. The show begins on the micro level. Micro-organisms expand and form greater parts. Pieces are drawn together and evolve into an autonomous entity. The entity is but a small mechanism within the greater “server.” The entity reacts. Tension develops and the narrative unfolds. 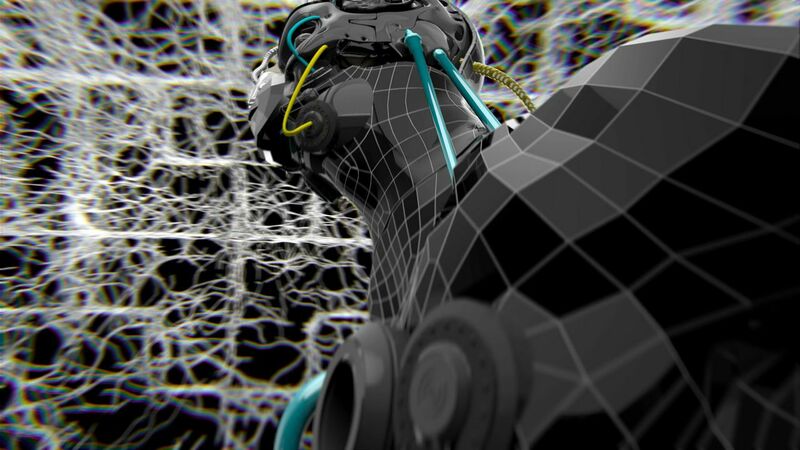 The background animation was created using 3D and composting software, as well TouchDesigner. Using TouchDesigner, VVOX created a reliable playback system that efficiently handled HYBRID’s heavy load of video and geometry information while minimizing GPU memory. The result was a beautifully driven show with no frame loss or delay. The team also used TouchDesigner to generate real-time sound reactive scenes in between the 3D pre-rendered scenes. The physical representation, a foreground multi-dimensional stage piece, was synced with content that was entirely reactive to OSC signals from Dubfire’s Ableton session. Custom effects and on-the go manipulation were used onsite to create a unique performance for each show. The show premiered worldwide on October 16, 2014 at the Roest Warehouse during the annual Amsterdam Dance Event 2014 and will tour worldwide in 2015. © 2019 METAx LLC. All Rights Reserved.